You probably heard or read about Business Process Outsourcing (BPO) and Call Centers but you need insight on what kind of business they have and how they do business. Business Process Outsourcing (BPO) is contracting of certain business activities to third party service providers. The third party service providers are responsible for hiring the needed manpower. They also make sure job assigned to them are carried out to the best of the satisfaction of the outsourcing company. Outsourcing of business could be offshore or onshore. Offshore outsourcing is relocating the business process from one country to another country. Onshore is simply domestic contracting. These service providers are responsible for their employees’ compensations and benefits. Rate of salaries and compensations is base on the currency of the country where service providers are located. In the Philippines some businesses like telecommunications, banks, travel agencies, opt to outsource their marketing department. I for one upgraded my internet service through a telemarketer. I made sure though they are legitimate. I checked with my internet service provider before I signed up with them. A Call Center is the third party service provider that handles calls assigned by outsourcing companies. Call handling could be inbound or outbound. Inbound is accepting calls from the customers of the outsourcing company. Outbound is calling out to the customers of the outsourcing company. One example of outbound Call Center, are telemarketers selling products and services to customers. Likewise there are, non-voice Call Centers. They communicate by chatting to the customers of the outsourcing company. In outbound call center, after calls are made by a call center representative. Another department processed the orders through the back end. The back end people are responsible for shipping, sending communications to customers, correcting orders, all other functions that cannot be done by a front line call center representative. Call center representatives are also known as call center agents. For inbound call centers, a frontline call center representative assist calling in customer. Do the best to resolve the issue, customer is calling about during the call. If issue cannot be resolved on the call, frontline agent would pass the issue to the back end for resolution. Inbound call center agent has to provide customer with estimated time frame as to when the issue will be resolved. Back end representatives may not be located in the same country where call centers are outsourced. For telecommunication outsourcing companies, resolution of the issue could mean dispatching their local technician. Depending on the urgency of the issue, a customer may become irate if he wants to get the issue resolved during the call. There are some issues that resolution is beyond the control of the representative. This is where some calls become difficult to handle. If customer asks for a supervisor or manger, the call will be transferred to an escalation agent. If an escalation agent is not available the team lead or team captain can take the call. How do you handle irate callers? I will have separate discussion on that on the next blog post. Why do call center center representatives work at night? It depends on the outsourcing company. 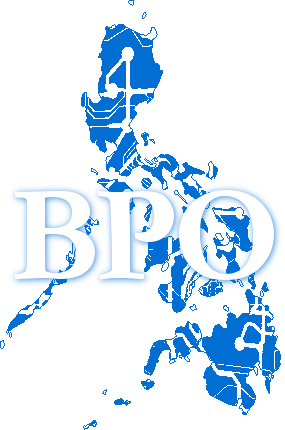 In the Philippines most outsourcing companies are from Canada, United Kingdom and United States. We have to follow the working hours of these countries. Why are these companies outsourcing? I could think of two main reasons. One, to outsource is cost efficient, secondly more manpower is needed. Some of my readers may be working in the same industry where I am. Possibly in your urgency of getting a job you have not asked what kind of business industry you are in. I hope I have given you some bits of information, to answer some inquiries of those getting curious why you work at night. Now, you have bits of knowledge about Business Process Outsourcing (BPO) and Call Center business.